The first chapter draws upon a Hegelian-Marxist concept of concrete evil, connecting malevolence to ruling elites, while additionally addressing sub-surface political forces. It is followed by "deep political" analysis of drugs, in addition to oil, as controlling factors of US wars. Both chapters focus around Afghanistan. 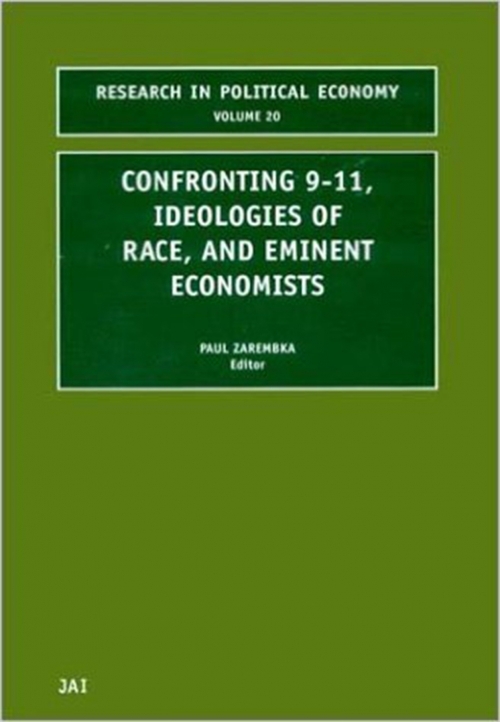 Commonalties of race ideologies in capitalist contexts are next examined by connecting it to capitalist societies' goals and strategies. Haiti and South Africa are case studies. Estimates for US value and surplus value are undertaken and related to GDP. Implications are drawn for the distribution of value, use value and social labor. The model permits simulation and sensitivity analysis, with links provided to a careful implementation. Four chapters deal critically with writings of major economists. The first shows that Keynes, while rejecting invisible hand mechanisms, assigned to the educated bourgeoisie the role of overcoming the pathologies of capitalism. The second investigates evidence of plagiarism in Keynes, showing that he appropriated Gesell's insights into the nature of money and interest but in a manner to help preserve capitalism. Moving to overcome limited attention by Marxists to Ricardo's comparative advantage theory, the next chapter assesses the work of Shaikh and Hudson, concluding consistent with the overriding role of exploitation in production. The final chapter compares Bentham's "panopticon" (an institution of confinement, surveillance and extraction of labor) to Hayek's market order conceptualization, and shows that both are disciplinary regimes. List of Contributors. Foreword. 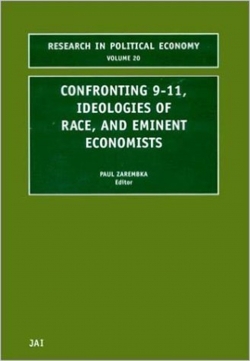 The deep politics of September 11: Political economy of concrete evil. U.S. Wars in the light of the international drug trade. Ideologies of race and racism. Estimating gross domestic product with surplus value. Collective and individual rationality: Maynard Keynes' methodological standpoint and policy prescription. On the art of innuendo: J. M. Keynes' plagiarism of Silvio Gesell's monetary economics. A political economy critique of the ricardian comparative advantage theory. The market as disciplinary order: A comparative analysis of Hayek and Bentham.